Jeff Marcoux is the CMO Lead for Worldwide Enterprise Marketing at Microsoft. He has driven cross product and team collaboration, supported multiple product releases, bringing new products to market, innovative content strategies, channel development, and acquisition integration work. 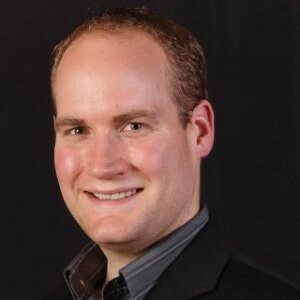 Jeff comes from the marketing automation and consulting industry where he led the service, consulting, implementation, marketing, and sales engineering teams. He believes that every touch point with a customer is a marketing experience- from marketing to sales to customer service. Jeff is a marketing growth hacker, martech expert, and brings entrepreneurial innovation to a big tech world. He attended the University of Washington where he received his MBA in Leadership, a Certificate in Technology Entrepreneurship, and was a Board Fellow for Leadership Eastside. Jeff currently sits on the board for the Internet Marketing Association (www.imanetwork.org), is a professor of marketing at UC Irvine’s extension program, and has received Congressional recognition for his work in the Internet Marketing Industry. In his spare time Jeff does lots of hiking and other fun outdoor activities.